Where I work there is a garden on site. I personally don't have a garden spot, but occasionally someone leaves out fresh produce for others to have. 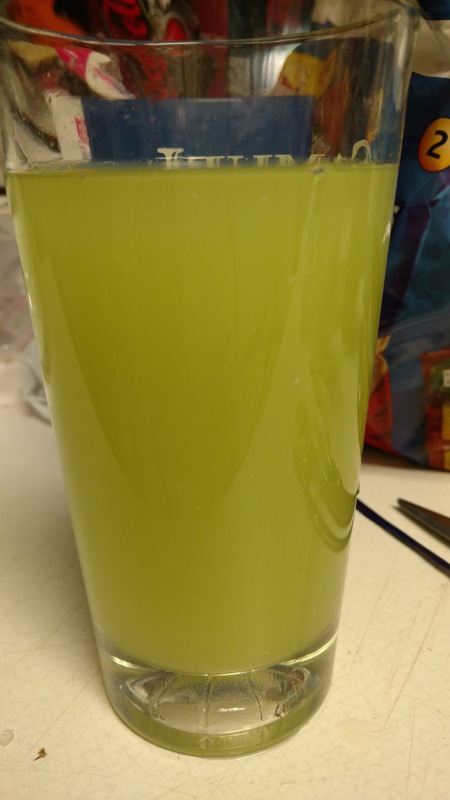 Today I took home a cucumber and made cucumber lemonade. What I did was made it low/no calorie by substituting Sweet N Low for the 1/2 sugar (12 packets). I also didn't have any fresh lemons, but I did have lemon juice. So I added 2 tablespoons of lemon juice. I does take some effort to make this up, but it turned out great. That looks quite tasty would go down well today we are getting very rare hot weather in London at the moment heheh! I'm not quite sure about the combo - but I'm willing to take a taste!